Fat is critical for muscle growth. It also keeps testosterone levels high, aids joint and muscle recovery, and even keeps off body fat. The best types to look for include medium-chain triglycerides, flaxseed oil, borage oil, and conjugated linoleic acid. To encourage muscle growth, look for proteins that digest at different rates, like whey, casein, and even egg protein. These, respectively, are fast-, moderate-, and slow-digesting proteins that will increase muscle building and stave off muscle breakdown. You want a variety of carb sources that digest at different rates. Dextrose and maltodextrin digest rapidly to deliver immediate energy, while waxy maize, oats, brown rice, and fructose digest slowly, keeping insulin levels steady. 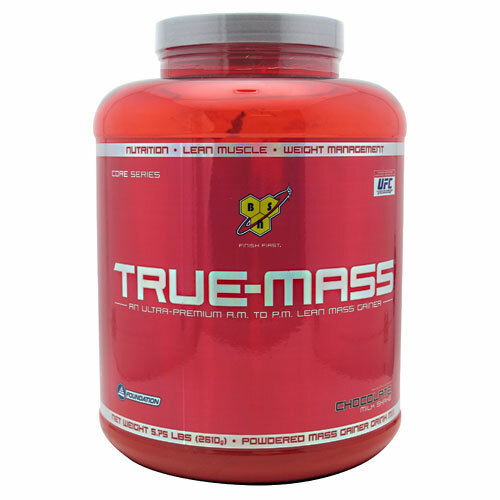 BSN True Mass contains 630 calories, 46 grams of protein and 76 grams of carbs per serving. 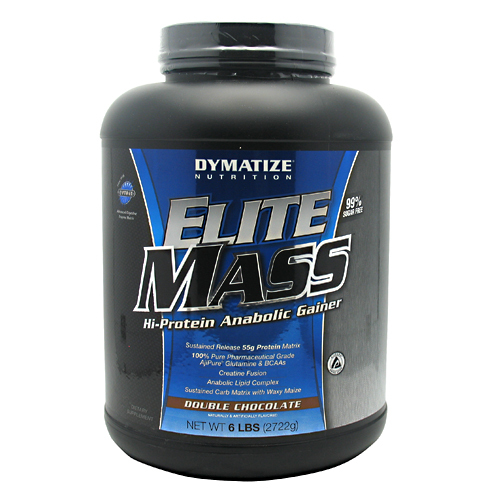 Dymatize Nutrition Elite Mass contains 600 calories, 55 grams of protein and 77 grams of carbs per serving. 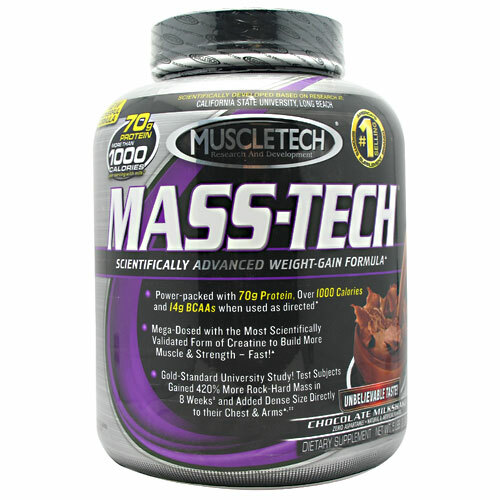 Muscle Tech Mass-Tech contains 1030 calories, 70 grams of protein and 179 grams of carbs. 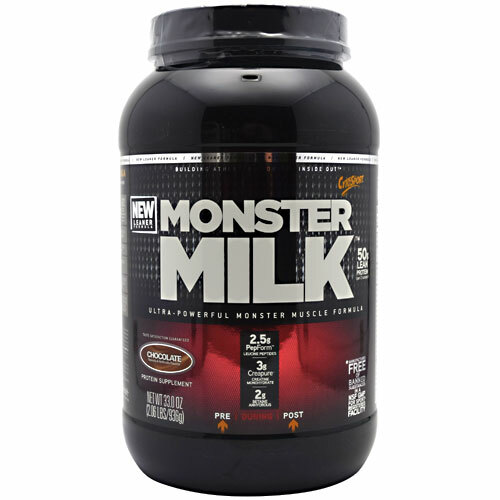 Cytosport Monster Milk contains 310 calories, 50 grams of protein and 13 grams of carbs per serving.